DoglopedixPersonal protection dogs are a great asset to any family. They are eager to guard the home, protect their masters and the kids devotedly. 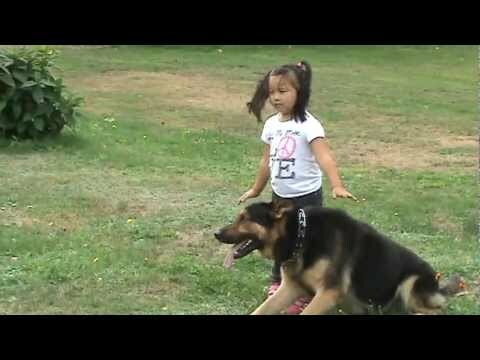 In this video, you will see a cute little girl in custody of a great Shepherd dog. The dog is extremely hard and civil and it is the first time working with the new helper.